The Gateway to the Grand Canyon For the last few decades, Flagstaff, AZ has been known to travelers as the gateway to the Grand Canyon. Or as the cool little mountain town along Route 66 or Interstate-40 that you remember traveling through as a kid. For many, it has been regarded as a pass-through town for folks on their way to somewhere bigger and better. Let us be among the first to tell you, that this has changed! There are a lot of other places that are bigger, but not too many that are better than Flagstaff, AZ. Today, Flagstaff is a bustling tourist town that is in itself a wonderful destination with things to do for visitors of all ages. Flagstaff as a Destination Flagstaff has grown up and it is now a leading destination for travelers looking to experience the Southwest. But, why? Well, Flagstaff is a beautiful and friendly mountain town that is rich in culture, recreation, and history, and it is absolutely worth visiting on your next vacation. Things to Do in Flagstaff, AZ When you make the great choice to visit Flagstaff, you will find that there is no shortage of things to do in the area. In this article, we’ve compiled our top five things to do in Flagstaff, AZ for visitors of all ages. So, let’s get started! 1. Enjoy the Outdoors – All Skill Levels Welcome! Any list on what to do in Flagstaff would be incomplete if it didn’t mention the outdoors. So, we will just go ahead and knock it out right away. To start, Flagstaff is well known as a mecca for outdoor adventure. The area offers everything from hiking to mountain biking and from rock climbing to ultra-running. Providing amateurs and professionals many reasons to flock to Flagstaff. Are you looking for things to do in Flagstaff in October? You've come to the right place! There is still plenty of things to do in Flagstaff such as festivals, events, hikes, and enjoying the fall colors. Check out a summary of the best things to do in Flagstaff in October. 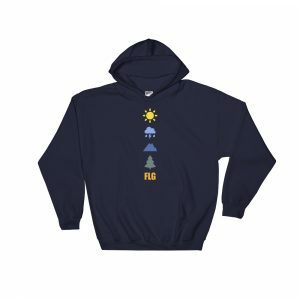 ----- Flagstaff Weather in October Flagstaff temperatures during the fall months can vary dramatically. In October, we can easily see temperatures in the high 70's down to the 50's and nights can drop all the way into the 20's. However, the average temperatures are fairly predictable. Towards the beginning of the month, we will typically experience daytime highs in 60's and low 70's and nightime lows in the low 40's and down into the 30's with a first freeze likely. Towards the end of the month, the daytime temperatures will typically drop into the high to low 50’s and nighttime temps will brings us into the 30’s and even into the high 20’s. It’s not unlikely that we will see our first cold weather storms in October, and it has been known to snow on Halloween so plan your costumes accordingly. The last weather pattern that is highly likely in October, is wind. When dressing to enjoy Flagstaff in October, and the rest of fall and winter for that matter, the #1 how to dress tip is to layer. Check Out Flagstaff Average Temperatures For October Here Enjoy Flagstaff Fall Colors Check out the Flagstaff LEAFometer on the Flagstaff CVB website for info on the status of changing leaves around town. Take a Hike Depending on the year, you can enjoy the leaves changing colors all around Flagstaff throughout October. The leaves will begin to change in late September at higher elevations and move down in altitude throughout October.